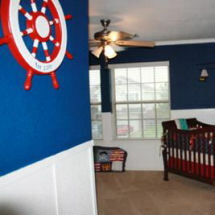 Our gallery of baby boy nursery ideas pictures and decorating tips is filled with designs that are sure to inspire the DIY decorator. 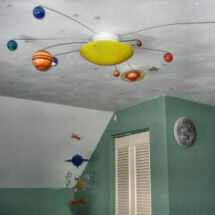 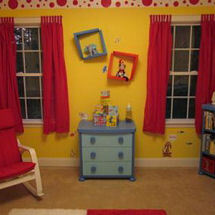 Prepare to be amazed by the taste and imagination of parents who may never have picked up a paint brush before much less decorated an entire room from ceiling to floor. 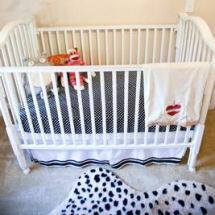 Visit each page to see (in many examples) detailed shopping resources for everything that you see in the baby boy nursery ideas pictures and descriptions. 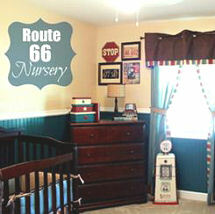 Often, the decorators will provide step-by-step instructions for woodworking or painting techniques or pattern numbers and the names of custom fabric collections they used to make the nursery window treatments and baby bedding sets. 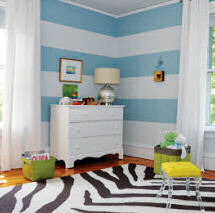 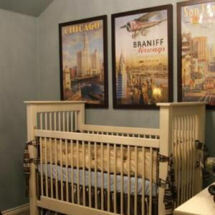 The baby boy nursery ideas pictures and decorating instructions provided by the decorators (read: parents) will help you to narrow your list of possibilities to the best nursery design for your little boy as well as the best color scheme and decorations to complete your project saving you lots of time and money! 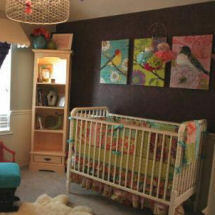 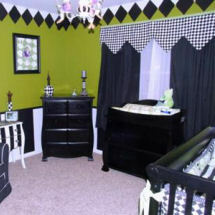 And when you're work is done, I hope that you will visit us to add your original baby nursery ideas to our gallery. 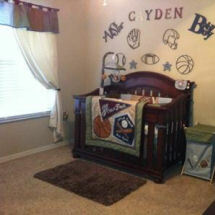 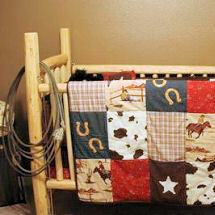 Share pictures of your baby boy's nursery!